Last Saturday, as often when we go to Zurich, we had lunch in our favourite place in town: the famous vegetarian restaurant “Haus Hiltl”, just couple of steps from the central Bahnhofstrasse. This time I just realised that they are a Guinness World Record holder! 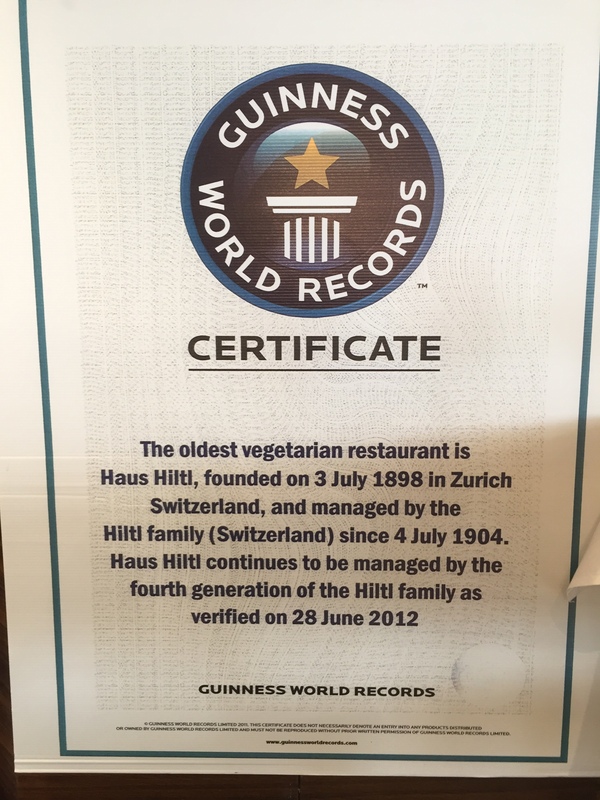 Haus Hiltl is the oldest vegetarian restaurant of the world! And in 2018 they celebrate their 120th anniversary! The vegetarian food is very unique, with many exotic influences, fresh and good! You typically choose the specialties and quantities you prefer from a buffet, paying for the relevant weight. And congratulations small Switzerland, another world record! ← Unfair or fair… fair?